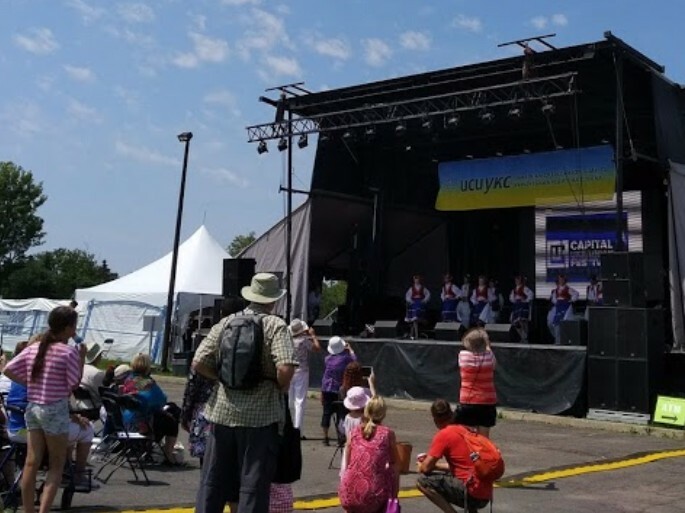 Last weekend I attended the Capital Ukrainian Festival. I was looking forward to music, cultural crafts and … perogies. I was also challenging my aversion to crowds, spending hours in the hot sun and lining up for food. The musicians and dancers certainly entertained the visitors in the hot afternoon sun. 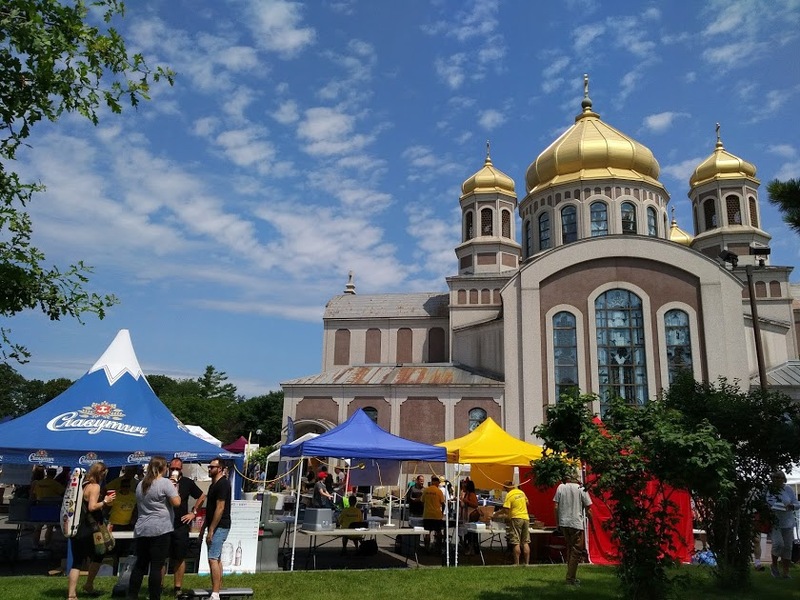 There were all kinds of vendor tents and scheduled tours of the church. I abandoned my quest for perogies and other tasty treats due to the long lineups in the hot sun. The shaded merchant tent was more appealing for my delicate complexion and conducive to locating inexpensive, practical items. I found some colourful, blank greeting cards for sending to family and friends. Yes, I’m one of the people who still do that. I was attracted to the watches displayed by one of the merchants. 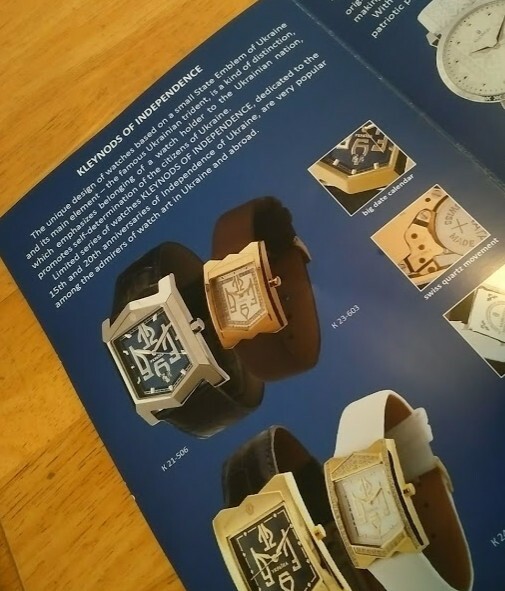 I was also curious about the symbols on the watch face. It was the Tryzub Cross. I was curious to learn more. The Tryzub Cross is simply a cross-bar on the middle tine of a tryzub. But what is a ‘tryzub’? And why should it have a cross-bar? ‘Tryzub’ (тризуб) is Ukrainian for “trident” and is one of Christianity’s earliest symbols. A trident with a Cross is associated with St. Vladimir the Great (980–1015). 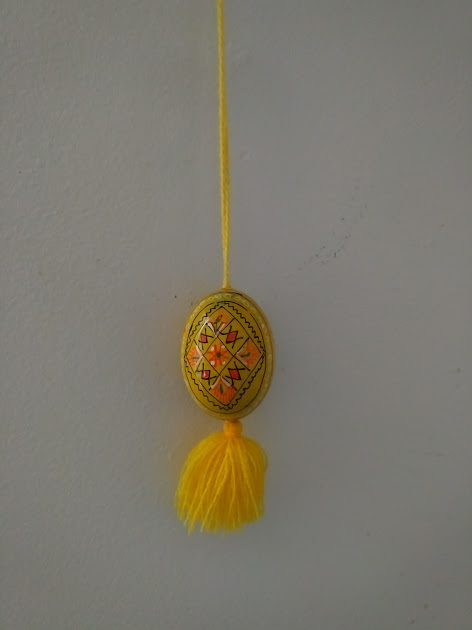 Eventually during my wanderings, I came across plenty of Ukrainian Easter eggs. Did you know…? The word pysanka comes from the verb pysaty, “to write”, as the designs are not painted on, but written with beeswax. That appealed to me. Pysaty. To write. This weekend I also wrote (well… typed) in my other blogs. Drop by if you have the curiosity and time. It won’t cost you much.